Ty Powell. Jaye Howard. Lazarius Levingston. E.J. Wilson. Jesse Williams. Jordan Hill. Bruce Irvin. Greg Scruggs. Jimmy Staten. 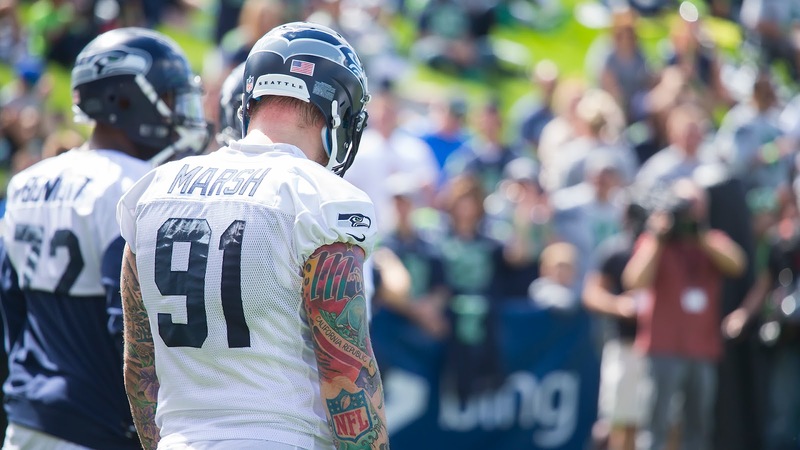 Cassius Marsh. Four years of drafts under the Pete Carroll and John Schneider regime have led to 10 picks on the defensive line. That means one out of every five Seahawks picks made during that time have been defensive lineman, and that doesn’t count folks like Jared Smith or J.R. Sweezy who were college defensive lineman the team turned into offensive lineman. Bruce Irvin has easily been the most successful of the bunch, with 8.0 sacks as a rookie, but he has since been turned into a linebacker. The bar is low for rookie Marsh to become the best defensive lineman drafted by Schneider, and early signs are that he will not only clear it, but set a standard future lineman will be challenged to reach. She has a great personality. Your friend utters those words to you ahead of a blind date, and your heart likely sinks. Not because you hate girls with good personalities, but the emphasis placed there often means her appearance is going to be underwhelming. When a scout or coach calls a defensive lineman a “high motor guy,” there is a similar knee-jerk response. Calling out a player’s effort level immediately raises questions about how much natural talent he has. Trying really hard all the time is great, but it can only go so far to obscure talent deficiencies. 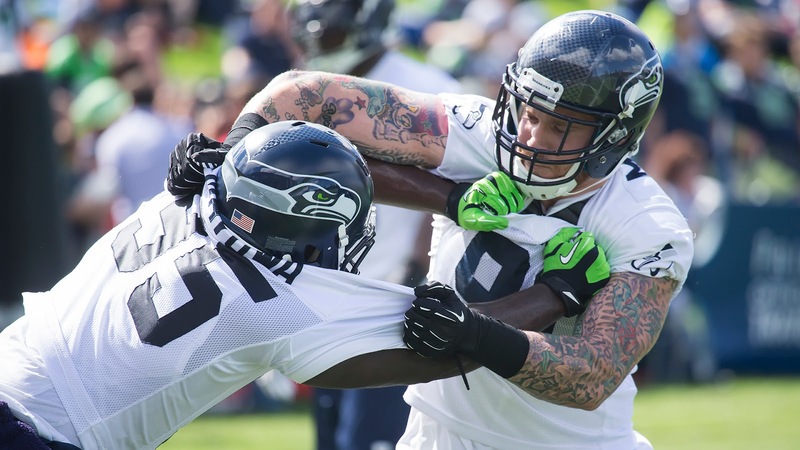 Cassius Marsh is a high effort player. He is not short on talent. The first thing that jumped out about watching Marsh first-hand was his get-off. He bursts out of his stance at the snap and accelerates quickly. Most offensive lineman will need to rush to cut off his outside angle, which leaves them open to counter moves, like the swim move Marsh employed in week one of the pre-season versus the Broncos. He had one sack and should have had two. When people say Marsh has a high motor, they are likely referring to the consistency of his attack on every snap and the consistency of his effort through the play until the whistle blows. They are not talking about a “try-hard” guy who has to live with results off of hustle. It is hard enough to draft a quality pass-rushing defensive end. A guy who can contribute both as an interior pass rusher and an edge pass rusher is a unicorn. As in, they are rare enough that some would claim they don’t exist. When the Seahawks said they saw a lot of Michael Bennett in Marsh, it sounded like hyperbole. Marsh weighed 20-30 lbs less than Bennett, and the Seahawks sack leader from a season ago was among the most sought-after free agents on the market. So far, the Seahawks scout who made the comparison is looking prophetic. Marsh has already shown a great ability to rush from both inside and out. His quick feet are combined with quick hands inside to create creases to the quarterback. His first step, acceleration, and agility make him a handful on the edge. His sack last week came on an inside rush, and his near-sack came from the edge, as did his tackle for loss. Now put him next to a player like Kevin Williams or Bennett and introduce twists or stunts, and you have a real headache for opposing lineman. Seattle employs a heavy rotation on the defensive line, so projecting what kind of output a player will have is difficult. Even with the limited amount of time I have seen Marsh play, it is hard to see him ending the season with less than 5.0 sacks. Clinton McDonald posted 5.5 last season as a key inside rusher. My instincts put him over 7.0, along with a handful of tackles for loss. Finding comparables outside of Bennett is hard until we see how the team plans to use him, and how he produces against starting caliber lineman. Some names that come to mind from the current crop of defenders are Everson Griffen and Ryan Kerrigan. That is an incredibly valuable commodity. Look at the money the Seahawks have spent on free agent pass rushers. That will not be sustainable as more core players get signed to large deals. 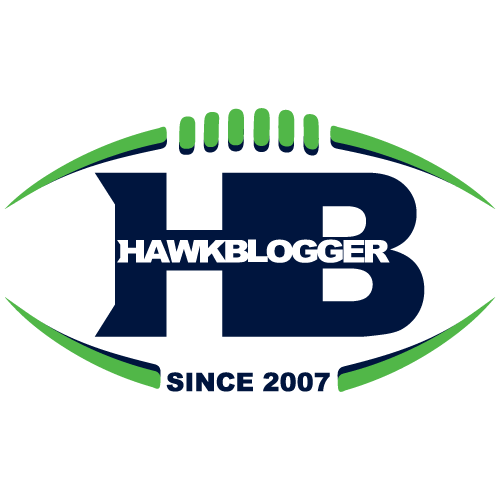 Finding productive defensive lineman via the draft is the most important task for the Seahawks front office if they want to truly field a championship caliber team every season. It looks like they might have their first.